Mmmmm... Garlic! For those of you who are a little heavy on teh garlic - this shirt is for you! Our If You Can't Stand The Garlic, Stay out of the Kitchen Shirts & sweatshirts are a fantastic new addition to any cooks wardrobe. 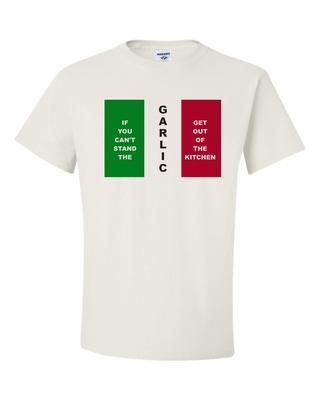 Remember� you found the If You Can't Stand The Garlic... at TShirtHub.com, where high quality came at a low price.